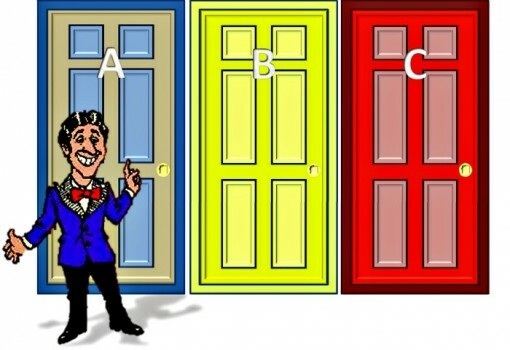 What is a Doorway Page and why is bad for SEO? What does an example of a doorway page look like when compared to a “normal” landing page? What attributes and patterns does Google look for when they’re algorithmically hunting for doorway pages? In other words, your low-quality page isn’t providing a good user experience for visitors. If your landing page has little to no content, is full of links to product pages, can only be reached via a search engine, looks like dozens of other pages on your site, and doesn’t give the searcher what their looking for immediately — then you have a doorway page on your hands. Generally doorway pages are found on medium to large e-commerce sites because these sites offer thousands of products. For example, if one of the hundreds of products you sell are tables. There are many types of tables to sell: blue tables, work tables, folding tables, kitchen tables, red tables, white tables, oak tables, side tables, dining room tables, etc. A simple product page isn’t going to get you ranked on a broad, competitive term. So if you’re selling tables and you offer a lot of different types of tables– how would you try to rank all those variations? Due to the overwhelming amount of pages that need to be created, most companies generate these pages by the hundreds with a page template. They then dynamically fill that page with individual product links, and auto generate Title and Description tags. Here’s a large e-commerce website that followed that exact formula. They decided to auto generate hundreds of thousands of pages based on popular search queries. I did a “site:” search on their “/market/” subfolder and Google returned millions of pages in that folder. They clearly used a script to auto-generate their SEO titles and descriptions (and because no human proofed the text, a lot of the descriptions don’t make sense). When you arrive to one of these category pages — it’s quite basic. 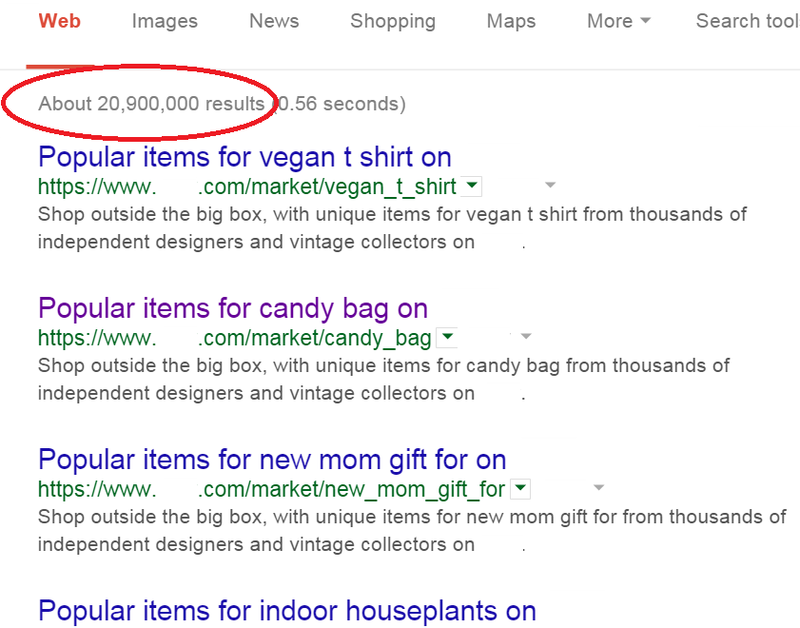 The main navigation, a heading that mirrors the title tag, and links to product listings for that search keyword. Basically, it’s thousands of similar pages created for search engines, no meaningful (static) content, duplicate SEO meta, and the only content is dynamically generated links to product listings. Any of these by itself wouldn’t be a problem, but together, this site is sending a lot of “doorway page” signals. The fact that this is a well-known brand might get them a pass from Google, but I’d be really concerned with these pages. When creating or optimizing landing pages for search, be hyper-aware of the messages you’re sending to Google. Is the page sending the right signals so that Google won’t categorize it as a doorway page? That said, put this all in perspective, know that the World Wide Web has trillions of webpages that Google is trying to index and categorize, so don’t over think it. If you’re manually creating landing pages for search, odds are you are giving it enough of a personal touch to get it past the “Doorway Page” sensors. Send the right signals by ensuring that the links on the page don’t outnumber useful on-page content, has a unique SEO title and description, is linked from one of your main pages, and isn’t part of a dozens of other pages that look and feel similar. Basically, create your landing page with value to the user in mind, not just for a search engine and you shouldn’t have to worry about your pages being hit with a “Doorway” penalty.